Brazil’s elusive art scene is immensely rewarding for those who seek it out. From giant open-air galleries to exhibitions that unfold the evolution of domestic art throughout the last two centuries, Brazil has plenty to keep art fans entertained. Here are some of the country’s top art galleries. 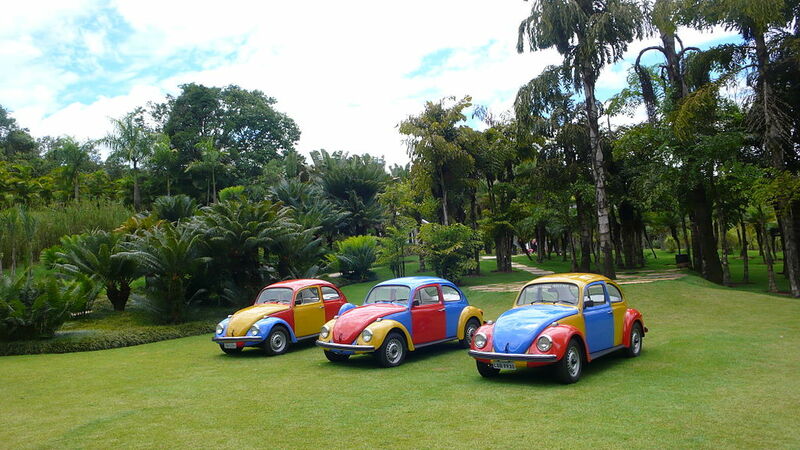 An art gallery so unique that it has sent ripples through the global art sphere, Inhotim has often been likened to a cultural Disneyland. The open-air gallery is spread across 5,000 acres of botanical gardens and was founded by Brazilian mining tycoon Bernardo Paz and landscaped by Roberto Burle Marx. The land is sprinkled with interactive sculptures, art annexes, and exhibitions that leave visitors curious at least, and dumbfounded at most. An astonishing example there is Cildo Meirele’s “Red Shift” – a pretty room that is entirely decorated in red, from red furniture to red floors. As a sinister twist, a dark corridor winds away from the room and leads to a sink that pours out red-colored water. While there is a solid collection of art galleries throughout Brazil, São Paulo undoubtedly remains the art hub of the country. One of the most fascinating and oldest art galleries in the concrete jungle is Pinacoteca do Estado de São Paulo. There, art fans can experience art evolution in Brazil over the last 150 years, as the permanent exhibition moves from Realism from the 19th century to modern-day art that showcases wonderful collections of contemporary and multimedia works. The Neoclassic-style building sets the scene for a cultured day out. Set within the glorious grounds of Flamengo Park in Rio de Janeiro, the building of Museum of Modern Art (MAM) itself is a work of art. Designed by architect Affonso Eduardo Reidy, the building simultaneously merges with the surrounding nature, while standing out with its imposing pillars and dizzy angles. MAM is one of Brazil’s most important cultural institutions and houses an impressive collection of domestic and international art. It has long supported new artists’ movements, such as Neo-Concretists, which has kept the gallery at the cutting edge of the ever-evolving art scene. Since its beginnings in 1988, Casa Triângulo has stood at the forefront of contemporary art and has become one of the most important galleries in Brazil to represent this movement. At the core of its values lies its persistent drive to seek out new artists and provide a free space to practice experimental and exciting new art. The building itself, shaped as a large white box and decorated with translucent and opaque panels, perfectly represents its urban style. 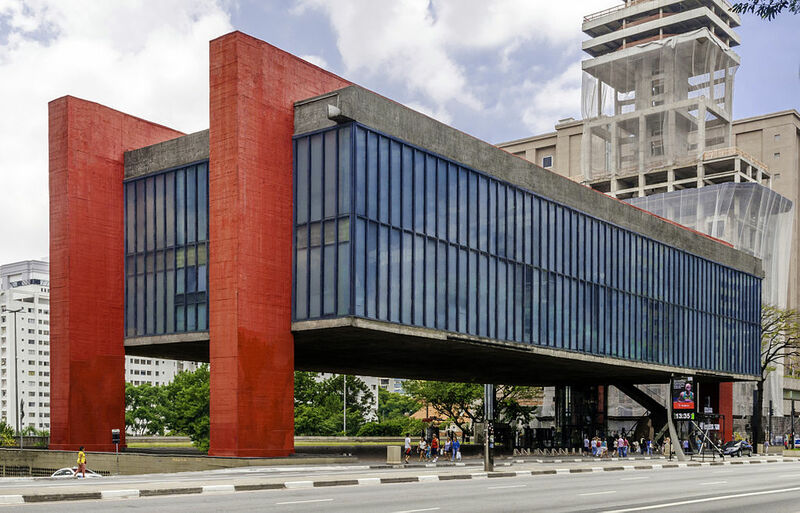 Museum of Art São Paulo (MASP) is one of São Paulo‘s most famous and talked-about art galleries, both for its extraordinary permanent collections and its eye-catching architectural design. The building was designed by architect Lina Bo Bardi and has become a topic of debate ever since, some saying it is one of the greatest examples of contemporary architecture, others wholeheartedly disagreeing. Whatever the viewpoint, MASP stands out on bustling main street Avenida Paulista, its design reflecting its strong position in the contemporary scene. 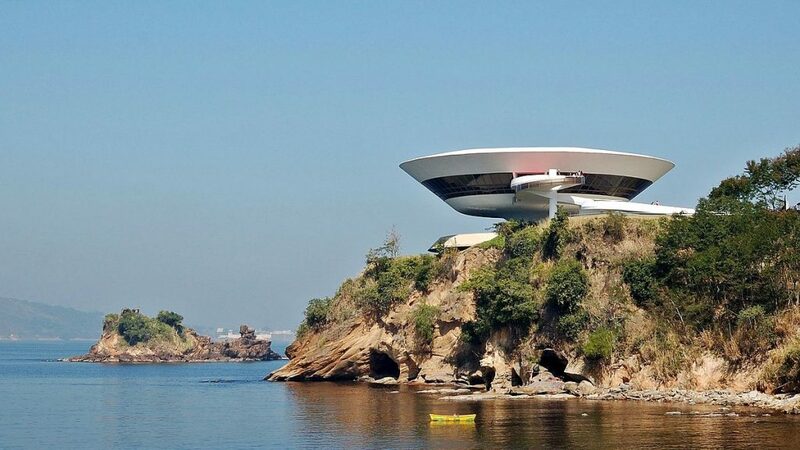 Located across the bay from Rio de Janeiro in the neighboring city, Niterói, the Museum of Contemporary Art is a gallery dedicated to the influencers in the contemporary scene from both Brazil and across the globe. It’s the building itself, though, that deserves a special mention and often draws in visitors simply to admire the unique architecture. The design was created by the late Oscar Niemeyer, Brazil’s most famous and influential architect whose memory remains in the saucer-shaped structure of the building. A step away from the larger art galleries in Brazil, Galeria Choque Cultural represents a niche slice of the art scene, yet one that is growing in significance and popularity. The gallery houses a rotating collection of temporary exhibitions that showcase the best of São Paulo’s underground art scene, including examples of pop art that capture youth and vibrancy, and represent what is often considered “alternative” art. The gallery has been an important step in many artists’ careers, and provided a platform to exhibit art that ranges from street art to edgy contemporary pieces.